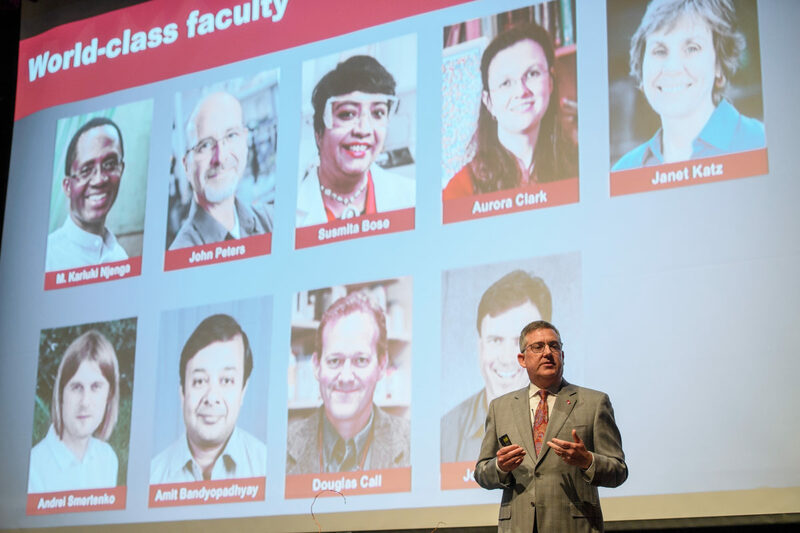 Reflecting on everything from record enrollment to major steps forward in advancing health care, Washington State University President Kirk Schulz on Tuesday praised the progress being made throughout the University system to transform education and improve lives. 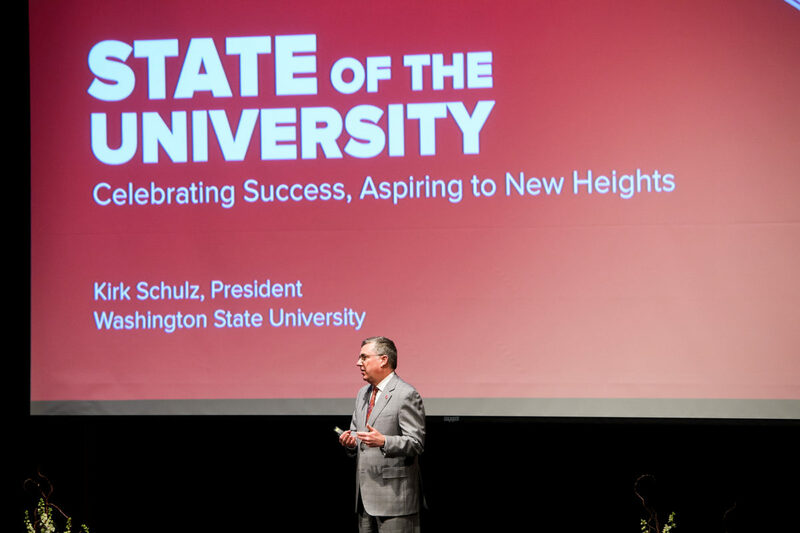 President Schulz delivered his second State of the University address on March 27, 2018 in Bryan Auditorium on the Pullman campus. 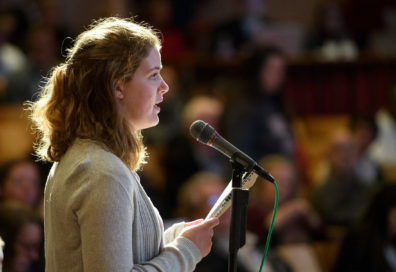 Another nearly 400 individuals watched the livestream of the address. 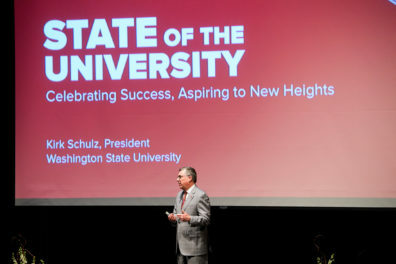 President Schulz shared numerous examples of how the University is serving and advancing the state’s needs. 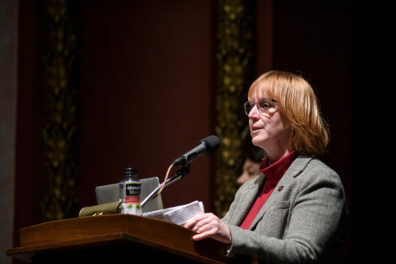 Faculty Senate Chair Judi McDonald introduced the president and moderated during the question-and-answer period that followed the address. Larry Hufford, interim dean of the College of Arts and Sciences, talks to student Lysandra Perez following the State of the University address. 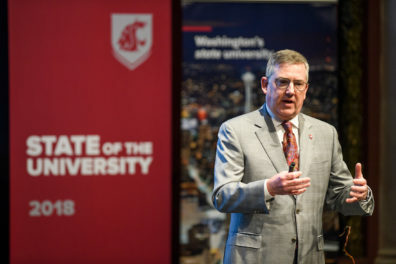 During the question-and-answer session that followed his address, a student asked President Schulz about the University’s efforts to help women feel safer on the Pullman campus. 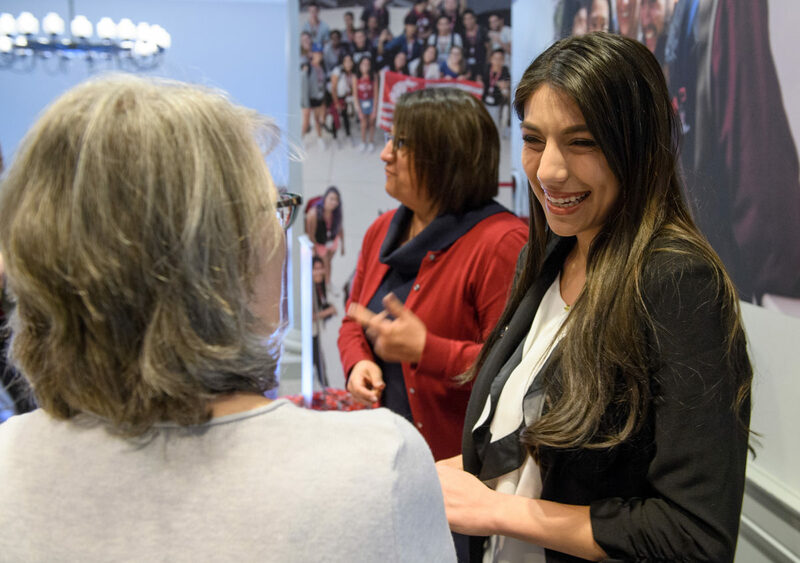 Lysandra Perez, a senior majoring in psychology and sociology, explains her research at the reception following the State of the University address. 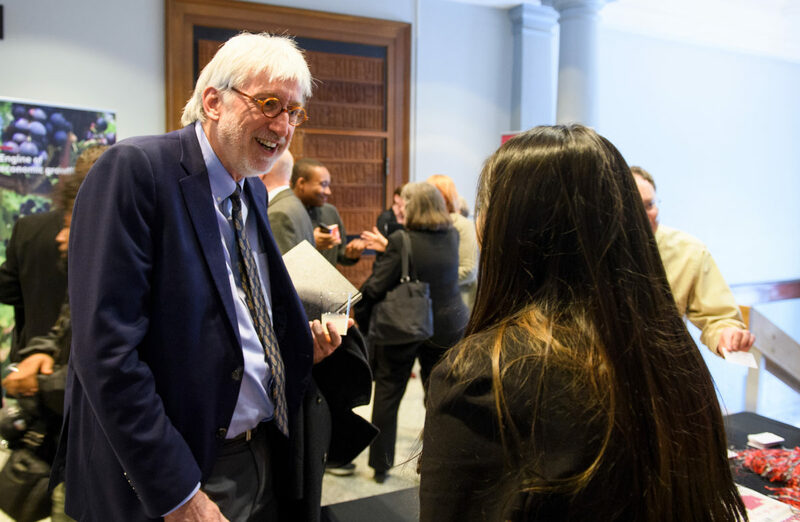 Her research is focused on ways to help first generation students succeed in college. During his remarks, President Schulz showcased some of the faculty and students who have been involved in notable achievements during the past year (see videos below).